Posted by Christina Hoyt on July 26th, 2016 . 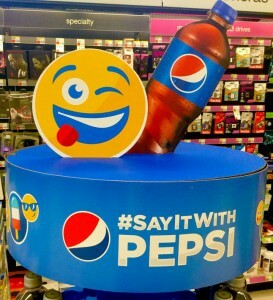 Are Emojis Saving Mobile Marketing? The number of business people, including marketers that are using emojis has dramatically increased recently. Emojis are used to evoke feelings in email and in text, and marketing messages have seen a 20 percent increase in their usage with new month in 2016. Other technological aspects, such as sharing media including photos, videos, and emojis have increased rapidly over the past few years. There is also a world emoji day on July 19 and the Oxford Dictionary, in 2015 made their word of the year the ‘Tears of Joy’ emoji. On top of all that the UK claimed the emoji language as the fastest growing language. Mobile behaviors are changing everyday. Years ago, mobile phones were just for talking. 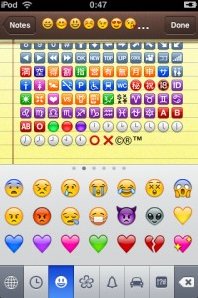 Now they are a device that holds multiple types of media for: text, photos, videos and emojis. Emojis are rapidly growing and companies are jumping on the bandwagon. Big companies like Starbucks and Pepsi are designing emojis, and well as L’Oreal, who even designed their own emoji keyboard. Famous celebrities from Justin Bieber to Kim Kardashian are cashing in on this new trend in technology – and they are benefiting! The bigger brands are adapting faster to this technological than the smaller brands, and the bigger brands are leading the path to success. Makeup brand “Paris Presents” VP Eva Oreskovich states, “Target audience are millennials and 40% say they would rather communicate via pictures than words.” Millennials love pictures and media, and communicating from iconography is replacing traditional text. Emojis are now becoming the visual language that successful businesses must speak.